After a marathon 13-Test home season in 2016-17, India are all set for an extended away sojourn – which sees them take on Sri Lanka, South Africa, England and Australia before 2018 comes to a close. A side’s mettle is tested on such tough assignments and as India get set to tour Sri Lanka the team’s captain and chief coach exuded confidence while talking to the press today (July 18) before departing for the Island nation. Virat Kohli’s first major assignment as Test skipper came away in Sri Lanka in 2015. After losing the first Test at Galle from a winning position, India stormed back to win the next two games, to capture the series 2-1. That started a run which has seen Kohli yet to be defeated in a Test series under his captaincy reign. Reminiscing about his first captaincy test, he felt that it was a “landmark tour” for his side as they embarked on a long journey which ultimately ended with them being crowned the number one Test side. Kohli credited the 2015 tour for instilling a winning culture in the team and the ability to bounce back from any situation thrown at them. A lot has happened in the last two-three months in Indian cricket. The recent ugly fiasco that played out between him and ex-India coach Anil Kumble doesn’t seem to have put Kohli off. Instead, the Indian captain felt that he was fully focused on what he can control and not worry about the speculation and all sorts of rumours floating around. 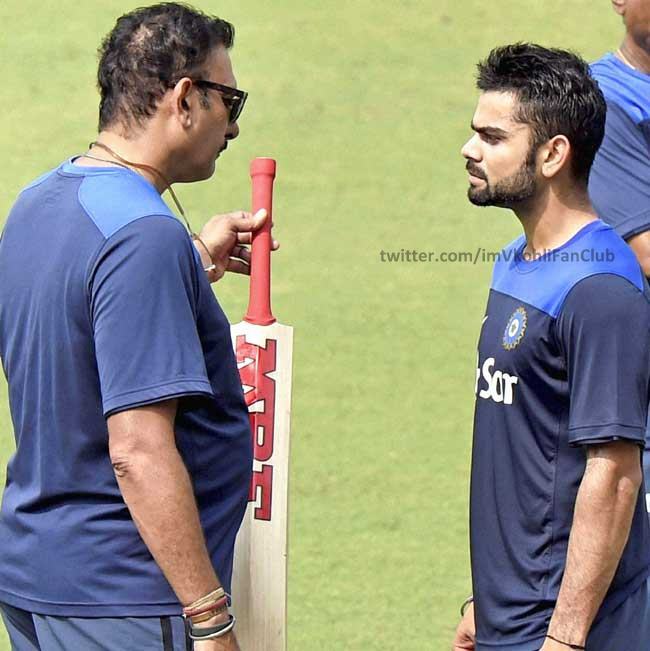 Ravi Shastri who was recently appointed as India’s head coach, having previously worked as team director, was all bullish about the future and reckoned that he doesn’t come with “any baggage.” Also, he felt that all the credit should go to the team which has become number one in Tests on the back of a consistent run against the top sides. “I have matured since I last went to Sri Lanka and I have matured immensely in the last two weeks. Mine will be a refresh button that will be pushed. I don’t come with any baggage. The team has done exceedingly well over three years and they are the people who deserve the credit more than anyone else. These Ravi Shastris, Anil Kumbles will come and go. The fabric of Indian cricket will remain. If they are number one today, it’s their efforts they have put in over that three-year period and they deserve the credit. People like us will come and go,” Shastri said. When questioned why Bharat Arun was chosen as India’s bowling coach, Shastri defended his former team-mate’s outstanding 15-year track record and went on to praise his work during their previous stint together. “There’s a track record – 15 years his life has been coaching. You look at that track record – it’s outstanding, right from junior level to A teams to Indian junior World Cup teams, he’s been part of – he knows these boys better than I do, because he’s been in the system for the last 15 years. “You look at the last World Cup – India took 77 out of 80 wickets. If Bharat Arun’s name was someone else, who has played a lot of Test cricket – you would’ve put him on top of the tree. I don’t need to elaborate too much on what he is good at, what are his strengths, it’s there for everyone to see,” Shastri concluded. MUMBAI: Indian team director Ravi Shastri has quashed reports of unrest in the dressing room over captaincy issues and said Virat Kohli and Mahendra Singh Dhoni have “tremendous” mutual respect between them. 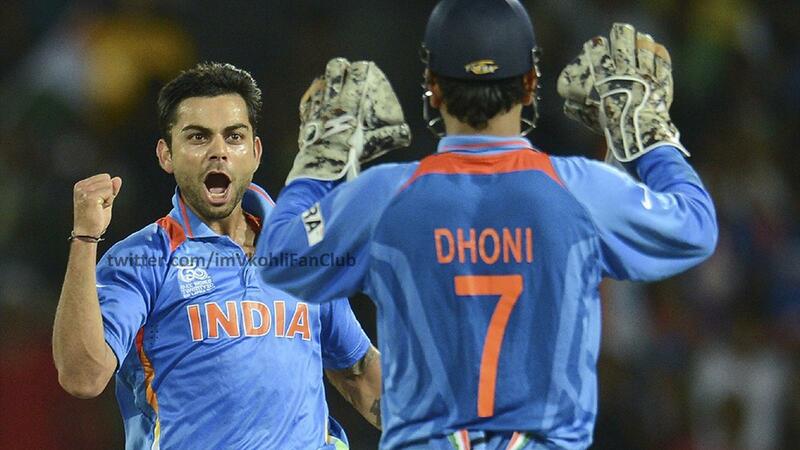 “What people don’t realise is that there is tremendous mutual respect there between Virat Kohli and M.S. 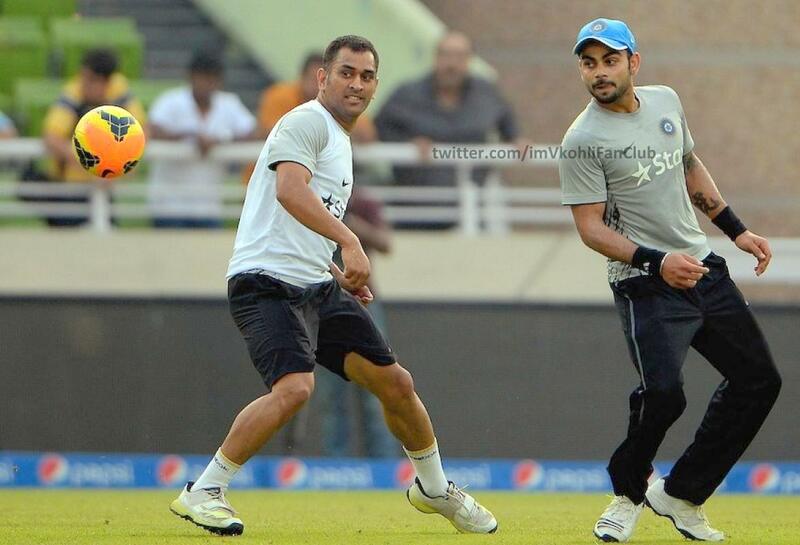 Dhoni,” Shastri was quoted as saying by bcci.tv on Monday. The reports of conflict within the Indian camp were sparked following the team’s first-ever One-Day-International (ODI) series loss to minnows Bangladesh as Test skipper Kohli expressed concern over the team’s decision-making. “Not too happy with the way we have played. We have been sort of doubtful in our decision-making and that shows on the field,” Kohli earlier said, fuelling speculations of a rift within the team. His comments followed team-mates Suresh Raina and Ravichandran Ashwin’s vocal support for ODI skipper Dhoni, whose personal coach has claimed “groupism” within the team as the reason for India’s loss. Shastri’s involvement with the team has been lauded by a lot of players and he is said to have brought in a lot of positivity into the outfit. “It’s basically about making them believe in their own abilities and that as a unit they are one of the best in the world. When it’s constantly mentioned and when you have results to prove it, it becomes infectious and is transferred from one player to another,” said Shastri, who played 80 Tests and 150 ODIs for India, scoring 3,830 and 3,108 runs respectively. “In the eight months that I have been with the team, we have won about 75 to 80 per cent of the ODIs,” Shastri, who has 151 Test and 129 ODI wickets to his credit, added. The former Mumbai star is confident that the team will bounce back after the 1-2 series loss to neighbours Bangladesh. “Yes, we had a bad loss against Bangladesh but you learn from that and bounce back. This team has been through some tough terrain, in England and Australia, and they would have learned a hell of a lot from those tours,” he said. Most thought India could go all the way. It was a 300-plus team with the bat. Bowlers left nothing standing on the table. Fielders looked good enough to get 10 run-outs. Let’s pause. Isn’t this the same team which had lost in Tests and triseries? Which had been on tour for almost half the year. Which was without its Test captain in first and last gambit. Which hardly had anyone with 50 Tests. Which wasn’t long in years. Which had scars of England. Which had blank pages for history. Which…never mind. These were not two teams. One which lost everything. From one which won everything. Their yardstick was different. They wanted to see the Australians in the eye. Not for once take a backward step. Improve in skills. Get better in mind. Bond stronger every next day. They ended up ticking all these boxes. And that’s why the team which took the field in Sydney had your support. You trusted them to defend the title. They trusted themselves. In my view, this tour to Australia was an unqualified success. I’m not biased; I would’ve said the same behind a microphone. If India was bad, they wouldn’t have 400-plus in each of the four Tests. They would have looked to shut the shop in Adelaide rather than go for that 360-plus target. They would have buckled after hours in sun against a relentless team. In four back-to-back Tests inside a month. There are more instances of finding an all-white penguin in Antarctica than winning visitors in Australia. There is hardly a precedent; very few are around to tell the tale. It’s cricket’s Star-Trek: To go where no-one has gone before. The holy grail. While you remember a Kohli for his four hundreds; Rahane for his silken touch; Vijay for his patience or K. Rahul for his steel, stats would never reflect the roots these young saplings of today have taken to become the banyan trees of tomorrow. They had seen seniors leave. They were asked to walk through the fire of four foreign tours in 2014. They are still on their feet. They are good enough to be around the next decade. You don’t pick favourites in your family. Nor would I among these fresh yet tough kids. They were all under a banner. So was I. We wanted to turn the corner after England tour. We wanted to be sure the wheels hadn’t come off. To have millions rooting for you after those long months in Sydney was a vindication. Personally, I was in the dressing room after two decades. Yes the game has changed. But it still is a sport which men of flesh and blood play. Players still worry on their show. They still get the jet lag; they still are exhausted; everyday nets still don’t look an invitation to party. You fret how the world has viewed you today; how media has opined; what kind of fans would turn up at the hotel lobby after a first-ball duck; what’s the official engagement in every other city. Between airport to airport, hotel to hotel, ground to ground, nets to nets is the sameness which could engulf most but the toughest. One still needs to be smart to fill up his free time. I see some serious ambition in these young men. Money they have had aplenty. It’s the respect which moves them. They have areas to improve. All of us do. Some would’ve issues with off-stump; some with playing across the line; some with pull or some who plays too much in the air. Bowlers always want quality, discipline, fitness, new tricks by their side. These boys believe they could improve. And they would. These are strong shoulders India could rely on. Further, there is clarity in leadership. This is vital. Kohli starts his reign in Tests. Dhoni the Fox heads the ODI pack. One is not that new. The other is not that old. Ideas can be bounced around. Workload shared. Checklists compared. Both share respect. None of them would look over their shoulder. None eyes other’s fruits. No contrary commands. No overlapping. The top six is the same in both formats. This is fluidity, stability. A Swiss watch with hundreds of inter-connected cogs and flywheels, working to perfection. Father Time is never out of step. A good few years of harmony ahead. These are sensible heads. They don’t grumble when moved up and down the order. No theatrics. Each standing for the other. Loudest at mate’s success. I was witness to it for a good length of time. It fills me up with hope. It’s a nice stew in the pot to take care of your appetite. Virat Kohli might have had a woeful tour to England, where he managed just one fifty, but team director Ravi Shastri believes that the Indian vice-captain is too good a player to stay out of form for a long time and expects him to bounce back sooner rather than later. “It’s a great game. It’s happened to some of the best players in the world. When I say the best players in the world, it’s happened to the best players in the world. Where you go through a series, a slump when nothing is right. There are technical flaws that can creep in from anywhere. Then you have bowlers with experience, patience and the ability to exploit it.” Shastri said during an interaction with the media on Monday in Mumbai.